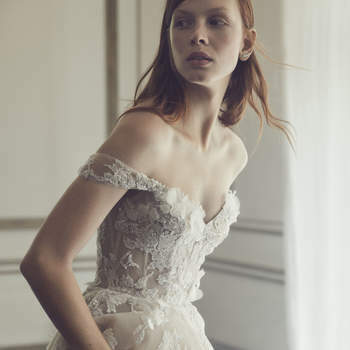 Designed for the most feminine bride in mind, Monique Lhuillier’s exquisite new range for Fall 2019 is a masterclass in how to do bridal couture just right. Ethereal and deeply elegant, this range is form-fitting, innovative and utterly fabulous, with a large variety of looks on show for women of distinctive tastes. 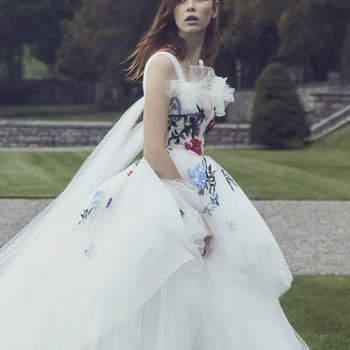 However, there is a genuinely romantic theme that unifies every gown in this collection, regardless of shape or style – the continuous use of allover lace, and the most intricate floral motifs and appliqués makes this new range ideal for traditional wedding ceremonies, and would suit a grand venue such as the one wherein it has been captured on camera. 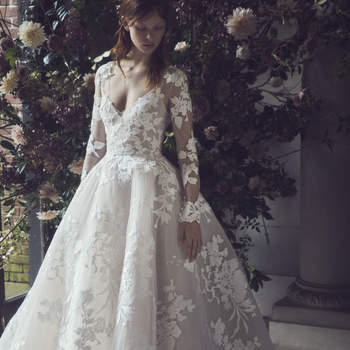 There is a lot on offer for women looking for an impeccable princess cut wedding dress, with the Selena, Easton and Maeve gowns all featuring bouffant skirts replete with the most extravagant tulle layers and, in the case of the latter two, beautiful lace embroidery. 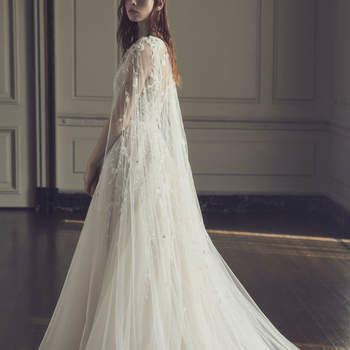 Totally classic, if you’re looking for the wedding dress you have been imagining since childhood, then Monique Lhuillier for Fall 2019 is the place to look. 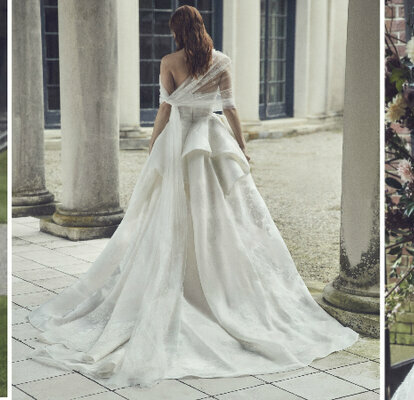 However, if you want the drama of a large skirt, but with something a little different, then the Westwood gown is simple perfection. With a waterfall of a skirt, you will be sure to draw attention with its rich color embroidery. Mimicing a corset, the bodice on this dress is a work of art. 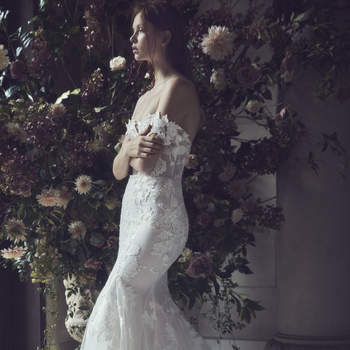 It is always difficult to adequately put into words just how beautiful some wedding dresses are, and Monique Lhuillier has presented a collection that has really put us through our paces here! 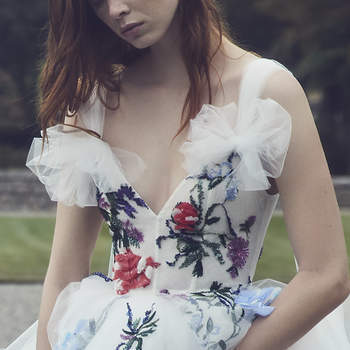 So look away from what we have written, and take a look at these beautiful dresses for yourself – we can’t make you fall in love with them any faster than you will from just seeing them! 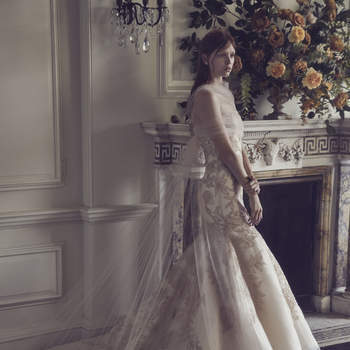 Discover Monique Lhuillier for Fall 2019, and experience true bridal couture.